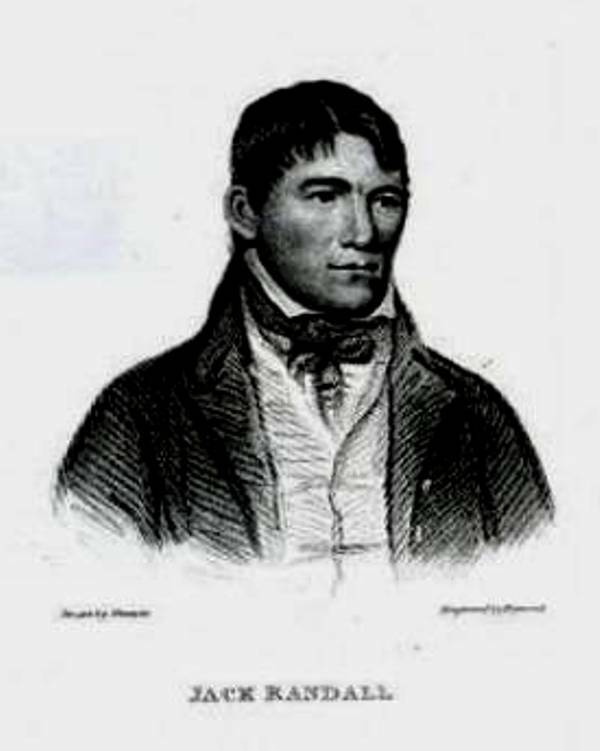 David Snowdon completed his PhD on ‘Pierce Egan, and Pugilistic Writing 1812–45’ at Newcastle University in 2008. He was employed as academic tutor at Sunderland University in 2010–11, where he lectured on Victorian literature. His other published work includes ‘Drama Boxiana: Spectacle and Theatricality in Pierce Egan’s Pugilistic Writing’ (2007), and he has delivered research papers focusing on Egan’s work. He is currently continuing, in an independent capacity, to undertake further research whilst developing a monograph project on Egan for publication. David also maintains an Eganesque website @ www.pierce-egan.co.uk. This article is copyright © 2011 Centre for Editorial and Intertextual Research, and is the result of the independent labour of the scholar or scholars credited with authorship. The material contained in this document may be freely distributed, as long as the origin of information used has been properly credited in the appropriate manner (e.g. through bibliographic citation, etc.). Fig. 1 © British Library Board. All Rights Reserved, X.989/9875; Fig. 2 © British Library Board. All Rights Reserved, L64/2363; Fig. 3 © British Library Board. All Rights Reserved, B22.b.19; Fig. 4 © British Library Board. All Rights Reserved, L.R.226.a; Fig. 5 © Project Gutenberg <http://www. gutenberg.org/etext/20001>. D. SNOWDON. ‘Hazlitt’s Prizefight Revisited: Pierce Egan and Jon Bee’s Boxiana-Style Perspective’, Romantic Textualities: Literature and Print Culture, 1780–1840, 20 (Winter 2011). 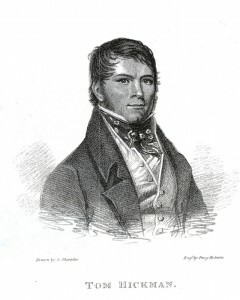 In the field of nineteenth-century pugilistic writing, much of the critical attention devoted to an essay by William Hazlitt, ‘The Fight’ (1822),  ignores the significance or merely mentions en passant the period’s most influential specialist prizefight chronicler, Pierce Egan. Any comparisons to other writing styles, in fact, are more likely to mention the twentieth-century American journalist A. J. Liebling who, it should be remembered, was writing about strictly governed, gloved bouts: a licensed violence far removed from the brutality of covert bareknuckle battles devoid of a hovering, vigilant referee eagerly waiting to curtail the slightest threat of either man suffering extreme physical punishment. The irony is that Liebling freely acknowledged Egan as a major influence. In this essay, I will look at alternative perspectives on one major event, a prizefight that took place between Tom Hickman (1795–1822) and Bill Neate (or Neat) (1791–1858) on Hungerford Downs on 11 December 1821. I devote specific attention to the dramatic tension elicited by the range of insights supplied by veteran habitués of the prizefighting world, who were (are) generally considered as literary inferiors to Hazlitt. So, how does Hazlitt’s commentary compare with those of reporters steeped in ‘flash’ culture? These disparate accounts of the contest provide the opportunity to offer an evaluation of their effectiveness and appeal, balancing the jauntily flash with the philosophical. The emergence of background details also prompts the question of whether a reading of Hazlitt’s romanticised essay is affected substantially by contradictory tales of barbarous acts committed by an ‘uncultivated’ Hickman. We will accompany Hazlitt on his excursion, or encroachment, into Egan’s ‘Pugilistic Hemisphere’ and examine the notion of the more celebrated writer as ‘little more than an interloper’;  the concept that Egan, together with ‘Jon Bee’, provide the direct ‘inside’ line, and that Hazlitt offers the view of a keenly interested observer, but an ‘outsider’ nevertheless. By its very nature a violent sport, pugilism was inextricably associated with gambling, drinking, and the demi-monde. Officially, it was an illegal activity, bareknuckle prizefights often depending upon the inconsistent leniency of local magistrates. Consequently, there was an opportunistic element about the arrangement of fights, and ‘the Fancy’ would often favour venues situated near county borders. Collectively, the Fancy comprised those who followed sporting events, but the term was particularly applied to prizefighting votaries. Nevertheless, a groundswell of popularity enabled the activity to operate amidst its putative prohibition. 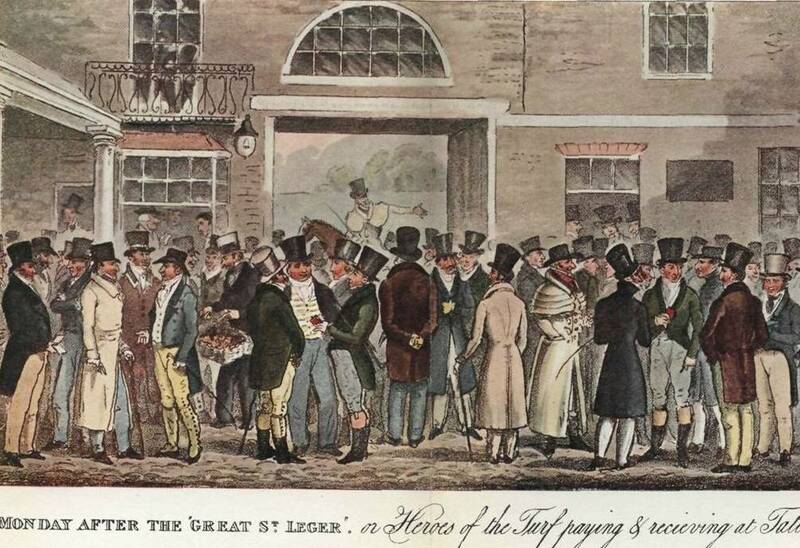 A common interest in sport encouraged the dissolving of social barriers, and a heterogeneous assortment of characters were to be found attending the prize-ring: lords and MPs would mingle with coal merchants and costermongers. Prizefighting played a major role in society during this post-Napoleonic period when sporting events provided diversion amidst concerns over more onerous issues at home and abroad. Probably born in Ireland, Pierce Egan (c. 1772–1849) was based in London from a very early age. His later experience in the printing trade manifested itself in the amount of typographical variation to be found on the pages of his texts. Apart from sports journalism and editorship, Egan’s principal publications were the Boxiana series, which comprised ‘sketches’ of pugilism (1813–29),  and the metropolitan tour Life in London (1821) and its sequels (1821, 1830), which provides useful insights into the male coterie that was the Fancy. This work spawned a stream of unauthorised imitations and stage adaptations. Containing slang dialogue, and depicting reprobate behaviour, this text—like the Boxiana series—courted censure and controversy as Egan proceeded to celebrate the dissolute, bordering on riotous, conduct of his Life in London ‘heroes’. Part of the moral ambiguity surrounding pugilistic matters is rooted in this portrayal of such sporting men-about-town. This text, and its imitations, depicted reprobate behaviour amidst a hedonistic philosophy: ‘PLEASURE was their idol; it was the creature of their imagination: and no heroes ever offered more sacrifices at its attractive shrine’. A dichotomy emerged, pitting the martial and moral benefits gleaned from pugilism’s training and codes of conduct against its unwholesome culture of gambling and drinking (as well as the criminal element such sport gatherings attracted). In the wake of the anti-Government ‘Cato Street Conspiracy’, it might even be argued that Life in London offered a degree of reassurance in a turbulent period that had suggested the possibility of revolutionary forces marauding through London streets. Egan granted his readership access to, and greater understanding of, a previously concealed idiom that had seemed mysterious and alarming, his metropolitan tour quenching feelings of unrest or curiosity by relating his trio’s escapades: ‘for the benefit of fire–side heroes and sprightly maidens, who may feel a wish to “see Life” without receiving a scratch’ (Life in London, 19–20). Egan filtered the risks and, having the metropolis placed before them, his readers were vicariously satisfied. John Reid provides a useful overview of Egan’s social sphere and mind-set, portraying him as a ‘valued member of a considerable number of sporting and drinking clubs’, who inhabited ‘the underworld of literature and journalism’, and someone fully conversant with ‘the ephemera of his day’ (see Figure 1). Essentially, Egan was a ‘middling’, non-political writer whose prime concern was to hone an entertaining style. ‘Peeling’ refers to a fighter’s removal of his upper garments before commencement of a prizefight, whilst ‘milling’ was a word firmly appropriated by the Fancy as a verb to denote fighting or as a noun signifying a beating. 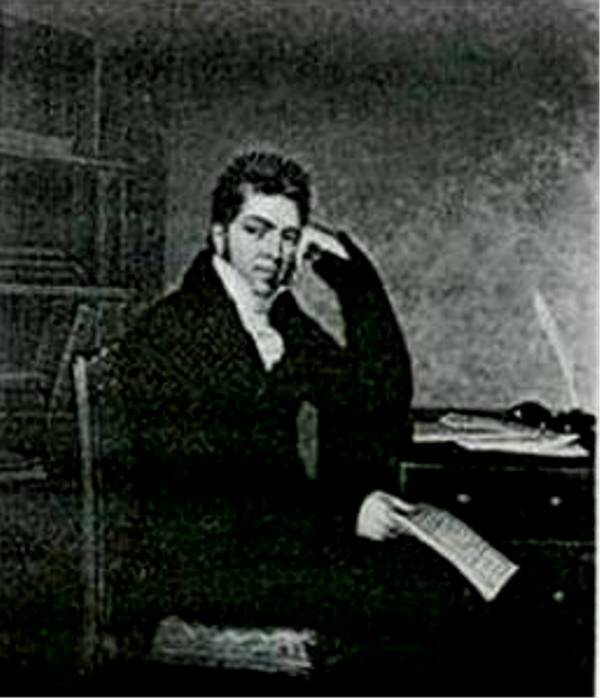 Egan would develop his repertoire of jargon in further volumes of the series: Boxiana, II (1818), Boxiana, III (1821), New Series Boxiana, I (1828), and New Series Boxiana, II (1829). Commentating on the same action as other reporters, it was Egan’s blend of inventive imagery and linguistic, metaphoric exuberance in his prizefight commentaries that could be identified as the ‘Boxiana style’. One interesting dimension supplied by Hazlitt is his recording of the often unnoticed female antagonists in the drama. On seeking intelligence of the proposed venue (often shrouded in secrecy until the day), Hazlitt recalls: ‘I heard a gentleman asking the same question of Mrs Randall […] Now Mrs Randall stood answering […] with the authenticity of the lady of the Champion of the Light Weights’. Even if only by association with her husband, the undefeated fighter Jack Randall (1794–1828), Hazlitt ascribes to this woman an air of sporting authority (see Figure 2). There is also a snippet of information about Hickman’s wife: ‘an agreeable woman, with (I understand) a pretty fortune of two-hundred pounds’ (p. 64). This gossipy aside serves to fill in some of the personal background information that might elicit a greater sense of involvement from the reader. Fig. 2. Jack Randall (1794–1828), by George Sharples. In Boxiana, vol. 2 (1818). Randall was a favourite of Egan’s, almost invariably referred to as ‘the Nonpareil’. Arguably, Hazlitt was exploiting pugilism as a convenient means of exorcising personal demons and reaffirming his sense of national identity. In his later essay ‘Merry England’ (1825), he emphatically assumed the attitude of a Fancy veteran: ‘the noble science of boxing is all our own. Foreigners can scarcely understand how we can squeeze pleasure out of this pastime; the luxury of hard blows given or received; the joy of the ring’. The deployment of such unequivocally possessive terms accentuates Hazlitt’s (possibly temporary) desire to be accepted as a member of this pugilistic fraternity. However, his portrayal of himself as a seasoned campaigner appears to be as much self-delusion as it is an attempt to convince the reader. In a subsequent post-fight complaint, he claims that ‘we were interrupted’ by a boisterous party who had attended the contest, and somewhat haughtily dismisses them as ‘not real flash-men, but interlopers, noisy pretenders’—an ironic accusation (‘Fight’, 72; my italics). Given his age at the time (forty-three) perhaps Hazlitt was experiencing what might be called a mid-life crisis, and this was an attempt to reinvigorate himself amid the vitality of such a gathering, eagerly soaking up the flowing testosterone (to paraphrase Herzog’s aforementioned analogy). For the uncommitted pugilistic follower (and I treat Hazlitt as an uncommitted but sympathetic observer) the availability of Egan’s publications supplied a welcome alternative, particularly in forbidding conditions when ‘[a gentleman] dislikes encountering the rude blasts of winter, the pelting showers, and also being pushed about by a coarse unmannerly crowd’, and would much prefer the cosiness of ‘his own fireside, and reading the account of battles’. A Fancy/non-Fancy divide underscores a ‘contradiction’ mentioned by Hazlitt in ‘Merry England’ (1825), wherein he envisages some Englishmen eager only to ‘shut themselves up […] by their own firesides’ because ‘they cannot do without their comforts’, whilst others harboured ‘the highest possible relish […] of hard knocks and dry blows, as one means of ascertaining their personal identity’. This endorses a notion of withstanding the blows of worldly life and Hazlitt’s aforementioned promotion of their ‘luxury’. The notion of a pugilistic dentist, and the incongruous concept of ‘dislodgement’ being an expert surgical procedure are subtle touches. Unsurprisingly, Egan still consistently touched on themes of national significance such as patriotism, military defence, and moral rectitude (the extract from New Series Boxiana, quoted earlier, representing a typical piece of such rhetoric). Tom Hickman was a controversial fighter, whose volatility could be deployed for either censure or heightening interest. He was dubbed ‘the Gas-Light Man’ primarily because he had been ‘sent up to London with other workmen to construct the boilers and retorts of the new gaslight factories’. Whilst hot-headed arrogance was an unwelcome, self-defeating trait for any pugilist, Hickman’s excitable unpredictability also served as an attraction for spectators. Ironically, despite his butchering profession, Neate was regarded as a placid, bonhomous individual, and was described as ‘generous and cheerful’ (Boxiana, III, 286; see Figure 3). Hickman’s charged reputation was fuelled by typically outlandish Boxiana publicity dubbing him ‘A second HOTSPUR’: ‘Impatient—fiery—daring […] His fist possessing the knocking-down force of the forge-hammer—his brow contemptuously smiling at defeat’ (p. 287). Fig. 3. Bill Neate (1791–1858). In Pugilistica, vol. 2 (1880). The elderly Norton died a week after being ‘pitched’ into by Hickman, who had reacted petulantly to some jesting and, ‘dropped the feeble old fellow off his perch’ (p. 163). One question prompted by this to what extent preconceptions would have been triggered in readers of Hazlitt’s essay by such information, and would they have been predisposed to reject the heroic imagery being deployed in the fight accounts. Hickman becomes a discordant figure obtruding upon Hazlitt’s idealisation of an ‘honourable and unbiased’ arena. Boxiana’s ‘insider’ anecdotes jar with the vision conjured by Hickman’s portrait in Bee’s Annals of Sporting and Fancy Gazette, iii (1823; see Figure 4). This image of a dark-haired, young man (who some might consider dashing) evokes notions of gallantry rather than cruelty. Prior publication of this illustration may have elicited greater anticipation of the fight, but the idealised figure of the noble fighter is undermined by tales of deplorable behaviour. Bee claimed that misguided adulation drew out ‘the latent qualities’ of Hickman’s ‘soul’, candidly conceding ‘that many of his misdeeds deserved the visitation of the law’ (Annals of Sporting, iii, 45). Bee’s earlier reference to the Weekly Dispatch leaves little doubt that Egan (a reporter for that newspaper) is deemed a prime culprit. Despite the moralistic stance adopted on issues of arrogance and brutality, the pugilistic writers appear to have harboured few unrealistic expectations concerning other excesses. Enthusiastic socialising was an integral part of Fancy life, and the gentleman’s club atmosphere one where Egan felt comfortable. Consequently, his writing tends to grant room for manoeuvre in the lifestyles of certain fighters, and this attitude coincides with Hazlitt’s justification for the intemperate conduct of talented actors when exposed to fluctuating extremes of public acclaim and censure: ‘An actor, to be a good one, must have a great spirit of enjoyment in himself, strong impulses, strong passions […] A man of genius is not a machine’. Hazlitt’s sentiment corresponds with Egan’s about Englishmen not being ‘automatons’ (‘Dedication’ in Boxiana, I), and it would have been impractical to preach moderation to hard-training pugilists. Moreover, the ring-dominance of ‘colourful’, impulsive characters naturally contributed to any public fascination with fight accounts. Significantly, Egan focused on the forthright attributes of the military leaders rather than their tactical knowledge. Given the blunt nature of Hickman, this appears a conscious choice by the author to celebrate the hardihood of the pugilist whilst not claiming a shared aptitude for strategic subtleties. It was always the sport’s collateral military benefits which proved most straightforward to proclaim. Overall, prizefighting was consistently portrayed as a metaphorical aide or, in this context, adjutant, in military campaigns. Egan appears to excuse Hickman’s lack of subtlety under ‘a sort of Nelson-like touch, “nothing venture, nothing win”’ attitude, and claims that it is this approach ‘that is the touchstone of all exploits’ (Boxiana, III, 306–07). One of Boxiana’s repeatedly propounded arguments was that pugilism engendered a sporting ethos, which, in turn, drove a fundamentally unified national spirit. This consolidating power had never been more evident a decade earlier in the publicity surrounding two famous battles for ‘the Championship of England’ between national hero Tom Cribb (1781–1848) and the black American challenger Tom Molineaux (c. 1785–1818). The clamour, and scrutiny, surrounding the build-up and outcome of these tussles engulfed not only the sporting world, but also supplanted concerns over campaigns being fought by the Duke of Wellington (1769–1852). For many, the pretensions of a foreign pugilistic invader constituted the more tangible national threat, and the ‘right’ outcome would boost national morale. News of the major contests piqued public curiosity, especially when heralded as involving greater issues than personal glory. There appears little doubt that English prestige was felt to be at stake in the above battles, but the fight reports manipulated the situation, adopting a highly charged tone by promoting emotive national matters. There was little danger of understatement. Nevertheless, it is credible that reports of Hickman’s hubris would have turned public opinion against him. Indeed, Hazlitt explicitly stated the effect of Hickman’s display of ‘presumption’: ‘the public had been prejudiced against him […] Few but those who had bet on him wished Gas to win’ (‘Fight’, 68). The likelihood of this being a widespread viewpoint is endorsed by Marc Baer’s comment that the popularity of renowned actors could be fleeting if their adoring public detected signs of arrogance: ‘[Adulation] was always tempered by expectation of deference […] Even the hint of pretentiousness […] could swing an audience from idolatry to violent opposition’. The cumulative incriminating evidence transforms Hickman from idealised warrior to violent braggart. Despite the quixotic nature of this reverie, Bee conveys practical information regarding the size and class mixture of the crowd, and economic implications of the wagers. The notion of a firmamental blessing being conferred upon what, in many ways, were violent and unrefined proceedings might be construed as faintly ridiculous, but illustrates the contrasting perspective enjoyed by the Fancy. Hazlitt, too, delivers a romanticised perspective as he records a night-time glimpse of the venue from his coach window: ‘The moon now rose in silver state, and I ventured […] to point out this object of placid beauty, with the blue serene beyond […] it gave promise d’un beau jour for the morrow, and shewed the ring undrenched by envious showers, arrayed in sunny smiles’ (‘Fight’, 65). Hazlitt’s subsequent concern to find a barber fits into a ritualistic male practice, which is depicted as a perfectly natural priority. When denuded of the aforementioned worthy and noble connotations, the event to be attended may have been vulgarly brutal, but the sense of occasion appeared to warrant such notions of assuming a ‘Sunday best’ appearance. Notwithstanding the undoubted novelty of proceedings for the uninitiated Hazlitt and the writer’s general wonderment, his piece is successful in conveying the momentous nature of the occasion. Hazlitt was enraptured, and leads the reader through the ‘miry’ ground, ‘ploughed up with multitudinous feet’ to the sanctum, the ring: ‘a spot of virgin-green closed in and unprofaned by vulgar tread, that shone with dazzling brightness in the mid-day sun’ (‘The Fight’, 68). The excitement builds as the two fighters ‘peel’, and as Hazlitt settles into his ‘good stand’ there is an implication of an elemental and human synchronicity as the moment arrives for battle: ‘I felt the sun’s rays clinging to my back, and saw the white wintry clouds sink below the verge of the horizon […] A bustle, a buzz, ran through the crowd’. All sentient life appears to be ‘swallowed up in the immediate interest of the scene’, and as the two combatants approach one another in earnest the anticipatory tension is rendered almost palpable: ‘attention was awe-struck. Who at that moment […] did not draw his breath short – did not feel his heart throb? All was ready’ (pp. 68–69). Egan himself had consistently depicted a dynamic relationship between spectacle and audience in which spectator response was socially binding, reaffirming a temporary mutual interest. When describing the intensity of spectators, his commentaries indicated a communion-like atmosphere: ‘their attentions were so completely riveted […] an awful silence, as if by one impulse, instantly prevailed’ (Boxiana, I, 105). Presumably, this would be a suitable juncture for any ‘tender’ reader to recoil at Hazlitt’s ‘masculinist’ imagery. Regardless of what motives had induced Hazlitt to write his prizefight piece, Bee expressed appreciation: ‘the Ring is much indebted for many home facts (for support) from men of letters, who may be considered outside its vortex’ (Boxiana, IV, 416). It is not merely the appearance of pugilistic jargon which suggests that Hazlitt aspired to enter the Fancy ‘vortex’. Bee registers his satisfaction at the content of this alternative report from ‘our philosopher’, which ‘tallies in good measure (or amplifies) with our own account’ (p. 188). Although Christopher North was eager to brand Hazlitt a sporting charlatan, it is significant that such a Fancy die-hard as Bee viewed ‘The Fight’ as complementing the Boxiana reports. In his own introduction, Bee enlightens the reader that he was one of the ‘very few exceptions’ who had considered Neate capable of upsetting the favourite. One of the ‘delusions’, disseminated ‘by the periodical press’, that Bee had dismissed was that ‘NEAT is said to be a roarer’ (Boxiana, IV, 61). This was a slang term implying a lack of stamina. Unlike Hazlitt, Bee is privy to the informative discussions of the knowledgeable sporting men that gathered at Tattersall’s, ‘that great touchstone of the sporting world’ (p. 61; see Figure 5). Bee proceeds to challenge the ‘infatuated’ majority (including Hickman’s chief panegyrist Tom Rowe) who called Hickman ‘the Gas’, claiming that this was an unseemly exaltation ‘contrary to English propriety’ (p. 226). Bee commented on such intense interest: ‘the universality of the Gaseous fluid, as an ignitable substance, was scarcely more notorious than the man and his acts’ (p. 173). The pace and slang offers a more knockabout sketch than Hazlitt’s interpretation. It is equally compelling, with the possible exception of a pivotal moment; Hazlitt’s meditative representation of Hickman being ‘hung suspended’ and then rising with ‘a death’s head’ contrasts with the unsophisticated ‘uncorked’, which merely implies a bloodied nose. Egan’s account, albeit much delayed in volume form, was prefaced by a review of crucial information, such as: ‘Upwards of £150,000, it is calculated, has transferred clies [pockets] on this event. The GAS weighed twelve stone, and Neat nearly fourteen’ (New Series Boxiana, I, 47). The heavy betting outlay was an ever-present factor in the interest surrounding a prizefight. Once the action had commenced, Egan conveys the ferocity of the ‘punishment’: ‘Hickman went in resolutely to smash his opponent, but he was met […] with one of the most tremendous right-handed blows ever witnessed […Fifth] Gas came up an altered man; indeed, a bullock must seriously have felt such a blow’ (p. 49). Egan’s deployment of the ‘bullock’ analogy ascribes Hickman with a combination of savagery and strength, but it is also ironic when placed in the context of Hickman’s earlier jibe about his intention of pounding the ‘carcase’ of Neate. Moreover, the ensuing description of defiance echoes the aforementioned portrayals of a contemptuous figure who overconfidently ‘anticipated triumph’, with his figurative ‘coat of mail’ not only serving to withstand physical punishment but also obstructing any consideration of the need to exercise tactical caution, or the threat posed by a formidable opponent. Egan assists visualisation of Hickman as a persevering or, less flatteringly, an obstinate fighter. But, his resistance was breached: ‘Neat again put in a tremendous blow on his mouth that uncorked the claret in profusion […] [Eighth] The Gas, laughing, commenced the attack, but received such a giant-like blow on his right eye, that he was instantly convulsed’. The ensuing drama, and concern for a ‘motionless’ Hickman, is then communicated: ‘The whole ring seemed panic-struck. [Tom] Spring vociferating almost with the voice of a Stentor to awake him from his stupor […] Gas! Gas! Gas!’ (p. 50). Egan imparts an air of incredulity as events unfurl; spectators and readers share in Hickman’s determination not to concede defeat whilst comprehending the fighter’s precarious predicament: ‘The Gas came to the scratch staggering, his knees almost bending’ (p. 51). The account of the fourteenth round supplies a vivid and horrific image of a fighter ‘distressed beyond imagination’ with ‘the blood dropping from his eye […] and his other peeper […] staring wildly’ (p. 52). The battle correlates with the brutality of the cockpit, being watched in much the same way by anxious gamblers, and the bloody terminology inadvertently underscores the moral argument pursued by the sport’s opponents: that of desensitisation. But, certain conduct does appeal to high-minded principles, pugilists being reluctant to take advantage of temporarily defenceless opponents. Egan summed up the general pugilistic attitude as a national one: ‘An Englishman abhors the idea of inflicting an incurable injury on his antagonist. He endeavours, indeed, to make him put up his black shutters […] but he never attempts to break the glass or shatter the frame’ (Boxiana, III, 594). By the eventual moment when Hickman is ‘insensible to the call of TIME’, the disreputable fighter appears to have been, in the eyes of the chroniclers, partially absolved of his moral faults. Once again he can be extolled for his prizefighting qualities, particularly courage. Hazlitt’s report that there was ‘little cautious sparring […] none of the petit-maitreship of the art’ underscores apparent contradictions, which are corroborated by his ensuing reflections on the ‘force’ of witnessing ‘two men smashed to the ground, smeared with gore, stunned, senseless, the breath beaten out of their bodies’ (‘Fight’, 70). The stance coincides with Egan’s warning against a tide of ‘effeminacy’, correlating with the OED definition of petit maître: ‘An effeminate man; a dandy, a fop’. The collocation of ‘petit maître’ and ‘cautious sparring’ together with Hazlitt’s evident gratitude at the absence of caution might be interpreted as an ignorance of pugilism’s subtleties, and he could not have been included amongst those spectators regularly ‘lost in amazement […] contrasting the manoeuvres, stratagems, and snares’ (Boxiana, II, 276). Overall, the Boxiana accounts of the fight substantiate Hazlitt’s view of the uncompromising severity of the combatants, but Egan generally preferred to enthuse on the merits of strategy: ‘It might be asked, what is an Admiral without tactics? or, a General without scientific precision?’ (Boxiana, I, 254). Whilst not seeking to diminish the courage of Neate and Hickman’s onslaught, and the spectacle provided, Egan regularly placed greater emphasis on tactical manoeuvring. Hazlitt’s essay can be added to that total (in a ‘monthly’ that, by 1821, had shifted its focus away from a staunchly Tory political one, changing its full title to The New Monthly Magazine and Literary Journal to reflect the prioritising of literature), but such pre-eminent prizefights were greatly outnumbered by those of a smaller scale. It was these unheralded contests that relied on Egan and Bee to generate interest. Crowds pressed around […] and the adjoining houses, wherever a glimpse might be caught of the procession, were filled with persons of respectability who maintained their station notwithstanding the cold damp air that prevailed. The funeral, as a spectacle, was singularly imposing and neat; the mourners […] followed the remains of a man whose achievements had occupied the thoughts of all. (Boxiana, IV, 208–09). The concept of a sporting ‘celebrity’ funeral is not a modern phenomenon. In the following century, A. J. Liebling declared: ‘Part of the pleasure of going to a fight is reading the newspapers next morning to see what the sports writers think happened’ (my italics). In his boxing pieces, Liebling consistently alluded to how Egan ‘would have styled’ something, also claiming that, compared to Egan, Hazlitt ‘was a dilettante’. This is not to say that Hazlitt’s essay was an unworthy addition to the pugilistic-writing genre; in fact, it provided a more cerebral picture of the event (or what Hazlitt ‘thought’ had happened). The valid point Liebling appears to be alluding to is a question of authenticity, and the Boxiana accounts penned by Egan and Bee can be regarded as the ‘official’ versions. These ‘pro’ reports detect the extra nuances that rendered them essential reading for the sporting cognoscenti. Hazlitt’s essay was not a superficial study by a tyro but, in terms of the sporting world of the Fancy, Hazlitt can be termed an infiltrator or outsider. Hazlitt’s aspiration to explore the sporting world of the Fancy appears to have been sincere. Perhaps he wished to absorb a degree of what he perceived to be an uncomplicated attitude towards quotidian life. John Strachan reflects that exercise provided ‘a haven from the mutual rancour of contemporary Whig and Tory journalism’, and sport constituted ‘an honourable and unbiased field of conflict, possessing, for Hazlitt, an unquestionable clarity’. The variance of Hazlitt and Egan’s linguistic styles emphasises the periodicals’ attempt to mould the mind-set of their supposedly middle-class readers by exploiting the metropolitan trends in which most Fancy values were rooted. But, Hazlitt’s account sufficiently intersects with the Boxiana reports to underscore an affinity with pugilistic events for a wide-ranging social blend. Ultimately, the ‘Flash and Fancy’ era can be compacted into a relatively brief time-span. The years 1812–29 constituted the ‘Age of Boxiana’, with its accompanying array of flash city types. Within this period, Hazlitt was indeed the interloper whilst Egan and Bee represented prizefighting’s authentic chroniclers: the reporters charged with the task of enlivening their commentaries over a long campaign, not merely a foray for a showpiece battle. Crucially, the subsequent ostracism of prizefighting saw the scales of opinion shift. Stepping out of this sporting enclave’s golden period, Hazlitt reassumes the mantle of literary doyen, whilst Egan and Bee become the ‘misfit’ and ‘outcast’. Nonetheless, it should still be acknowledged that their ‘low’ subject matter undoubtedly contributed to their lack of literary recognition. Greater esteem should be accorded to these two idiosyncratic authors whose original and enlivening Boxiana style expedited the development of modern sports reporting. 1. ‘The Fight’ was first published in the February 1822 issue of the New Monthly Magazine, founded in 1814 by Henry Colburn, ‘the most brilliant and most contentious figure in the post-Napoleonic publishing scene’. Colburn ran ‘a highly lucrative business as a book publisher’, and also founded the Literary Gazette in 1817 and the Court Journal in 1828. John Strachan, Advertising and Satirical Culture in the Romantic Period (Cambridge: Cambridge University Press, 2007), p. 255. 2. David Higgins, ‘Englishness, Effeminacy, and the New Monthly Magazine: Hazlitt’s ‘The Fight’ in Context’, Romanticism, 10.2 (2004), 180. 3. Dennis Brailsford, Bareknuckles: A Social History of Prize-Fighting (Cambridge: Lutterworth Press, 1988), p. 13. 4. Edward Law, first Baron Ellenborough (1750–1818), Lord Chief Justice (1802–18); see Brailsford, Bareknuckles, p. 45. 5. Pierce Egan, Boxiana; or, Sketches of Antient and Modern Pugilism, 3 vols(vol. 1: London: Smeeton, 1813; vols. 2–3: London: Sherwood, Neely, and Jones, 1818–21). The title page of the first volume was antedated ‘1812’. 6. Pierce Egan, Life in London (London: Sherwood, Neely, and Jones, 1821), p. 246. 7. 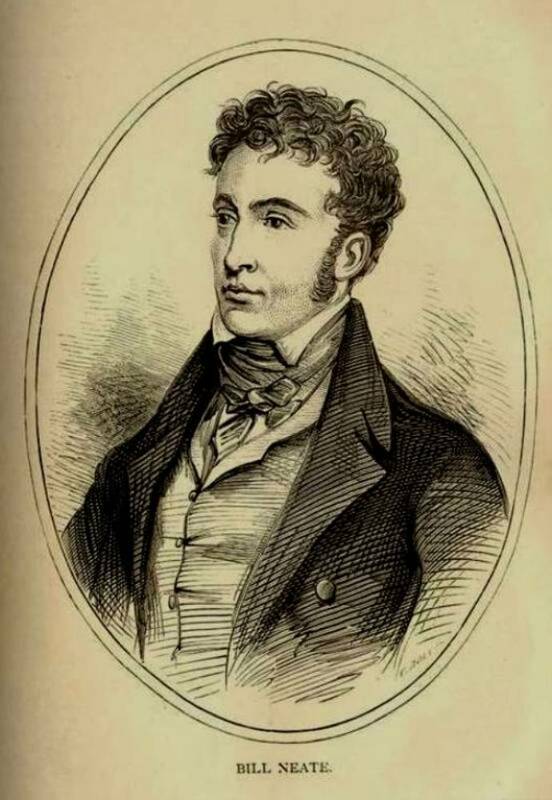 In February 1820, a group of radicals (led by Arthur Thistlewood) met in a loft at Cato Street, and plotted to murder the Cabinet as they dined together in Grosvenor Square. 8. John C. Reid, Bucks and Bruisers: Pierce Egan and Regency England (London: Routledge & Kegan Paul, 1971), pp. 10–11. 9. Pierce Egan, New Series of Boxiana: Being the Only and Original Complete Lives of the Boxers, 2 vols (London: George Virtue, 1828–29). 10. [John Badcock], Boxiana; or, Sketches of Modern Pugilism, vol. 4 (London: Sherwood, Jones and Co., 1824). 11. ‘Jon Bee’ [John Badcock], Sportsman’s Slang. A New Dictionary of Terms Used in Affairs of the Turf (London: For the Author, 1825), p. ix. 12. This quotation features amidst a typically idiosyncratic and verbose entry for ‘Chronology, or Fancyana’—see ibid. 13. The game of ‘fives’ featured a three-sided court and involved striking a ball by hand. The Fives Court in Little St Martin’s Street was the Fancy’s top venue for benefits and sparring exhibitions. 14. William Hazlitt, ‘The Indian Jugglers’ (1825); in The Selected Writings of William Hazlitt, ed. Duncan Wu, 9 vols (London: Pickering & Chatto, 1998), VI, 74. 15. Ibid., p. 74. Robert Stewart, Viscount Castlereagh and 2nd Marquess of Londonderry (1769–1822) was Foreign Secretary and Leader of the House of Commons between 1812 and 1822 for Lord Liverpool’s Tory government; he committed suicide in August 1822. 16. ‘Christopher North’ [John Wilson], ‘Letter to Pierce Egan, Esq.’, Blackwood’s Edinburgh Magazine, 8.48 (Mar 1821), 676. 17. Gregory Dart, ‘ “Flash Style”: Pierce Egan and Literary London, 1820–28’, History Workshop Journal, 51 (2001), 194. 18. John Strachan, et al. (eds), British Satire, 1785–1840, 5 vols (London: Pickering & Chatto, 2003), V (ed. by Jane Moore), 184. 19. Higgins, ‘Englishness, Effeminacy, and the New Monthly’, pp. 173, 178, 177. 20. Kath Woodward, Boxing, Masculinity and Identity (Abingdon: Routledge, 2007), p. 14. 21. Don Herzog, Poisoning the Minds of the Lower Orders (Chichester: Princeton University Press, 1998), p. 334. 22. Woodward, Boxing, Masculinity and Identity, p. 32. 23. Higgins, ‘Englishness, Effeminacy, and the New Monthly’, pp. 179, 184. 25. Hazlitt,‘The Fight’; in Selected Writings, IX, 61; quotations from ‘The Fight’ will be referred to in the text using this volume in Wu’s series. 26. The New Monthly Magazine and Literary Journal, 10 (Dec 1825), 559. 27. Pierce Egan, Every Gentleman’s Manual. A Lecture on the Art of Self-Defence (London: Sherwood and Bowyer, 1845), p. 147. 28. Hazlitt, Selected Writings, IX, 565. 29. The Annals of Sporting and Fancy Gazette, 13 vols (London: Sherwood and Co., 1822–28), III, 45. By 1816, twenty-six miles of gas mains had been laid in London for factory and street lighting. 30. ‘A View of the English Stage’, The Examiner (31 Mar 1816); in Hazlitt, Selected Writings, III, 125. 31. John Paul Jones (1747–92): born in Scotland, but ‘the most successful American naval commander to date’, he preyed on British ships during the American War of Independence (DNB). 32. The mouth of the Nile, in Egypt, where Nelson’s fleet routed the French in August 1798. 33. These contests took place on 18 December 1810 and 28 September 1811. 34. In defending Portugal as a base, Wellington’s situation was considered grave as he constructed the Torres Vedras lines across the peninsula of Lisbon in 1810. 35. For further discussion, including notions of Neate as an English ‘Jack Tar’ and a ‘Frenchified’ Hickman, see Tom Paulin, The Dog-Star of Liberty: William Hazlitt’s Radical Style (London: Faber & Faber, 1998). 36. Marc Baer, Theatre and Disorder in Late Georgian London (Oxford: Clarendon Press, 1992), p. 71. 37. Horse auction mart, founded by Richard Tattersall (1724–95). 38. A. J. Liebling, ‘Sugar Ray and the Milling Cove’ and ‘The University of Eighth Avenue’, in Just Enough Liebling: Classic Work by the Legendary ‘New Yorker’ Writer (New York: New Point Press, 2004), pp. 341 and 385. 39. I am grateful to John Strachan for this unpublished reference. 40. Herzog, Poisoning the Minds of the Lower Orders, p. 334. 41. Reid, Bucks and Bruisers, p. 71. 42. Peter Radford, The Celebrated Captain Barclay: Sport Money and Fame in Regency Britain (London: Headline, 2001), p. 245. 43. Frank Lewis Dowling, Fistiana; or, the Oracle of the Ring (London: William Clement, jun., 1841), p. 70.